Rioned’s affiliation with Spartan Tool goes back over many years, with both company’s part of the Heico group. Sharing knowledge about markets, production processes and management practices has been mutually beneficial, and ultimately led to the development of the new van-pack units. The new units feature the full range of innovative Rioned features, such as a pivoting hose reels, Compact System dual water tanks for a smoother ride and eControl for simple single-man operation. The top-of-the-range Ultimate Urban Warrior is based on the company’s ProfiJet T4, and equipped with a fuel-efficient, low emission Kubota V2403-CR-Turbo 66HP diesel engine, with built in Diesel Particle Filter. With a pump capacity of 4100 PSI @ 21 GPM, Rioned believe it represents the most powerful, emission compliant jetting machine in its class. Both new machines have been built to comply with US emissions regulations, which are also almost identical to the new European emission standards for engines used in new non-road mobile machinery (NRMM). Rioned have endeavoured to stay ahead of the competition by future proofing new machines with engines that include common rail injections and diesel particulate filters and meet the stage 4 requirement to reduce particulate matter and nitrogen oxide emissions. 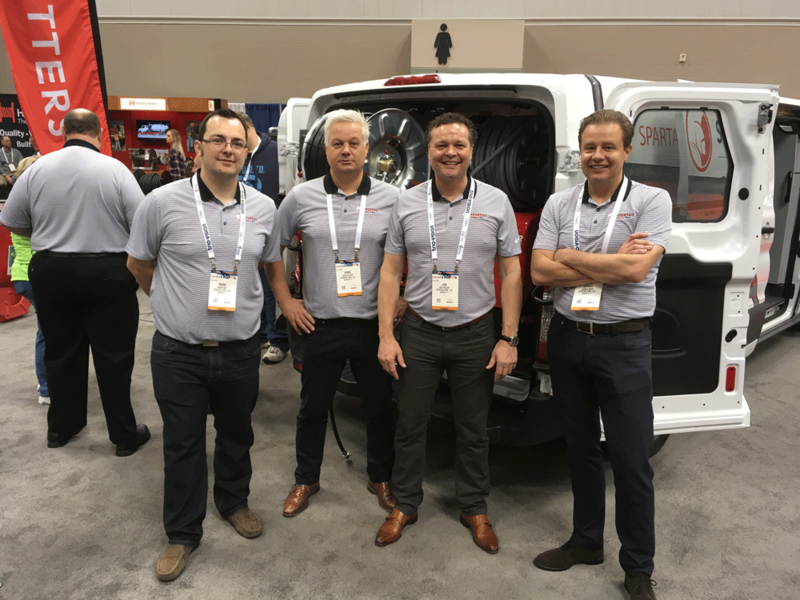 ‘’Spartan Tool is very excited to be working in collaboration with Rioned to provide these best-in-class jetters to the North American market. 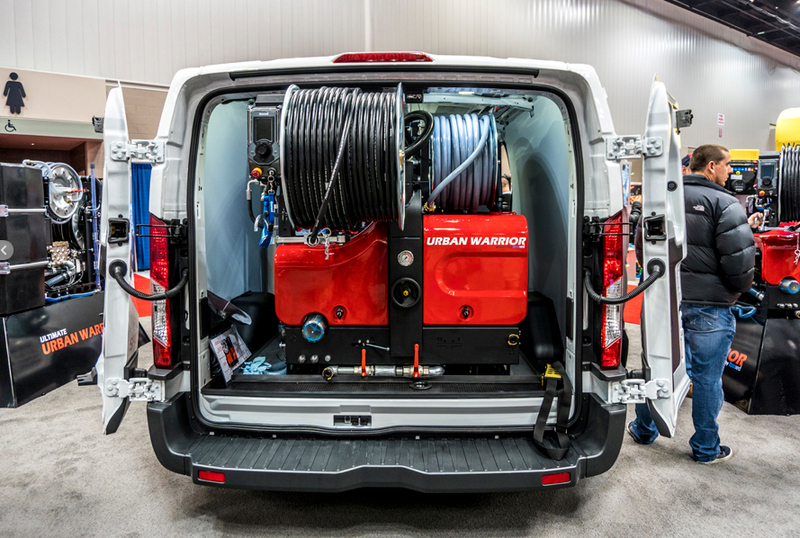 Rioned’s superior design, technological advances, and expert fit and finish make these units a perfect fit with the Spartan Tool brand of sewer and drain cleaning equipment,” explained Spartan Tool President, Kevin Walsh.